We are excited to announce the release of a new publication, just in time for the holidays! 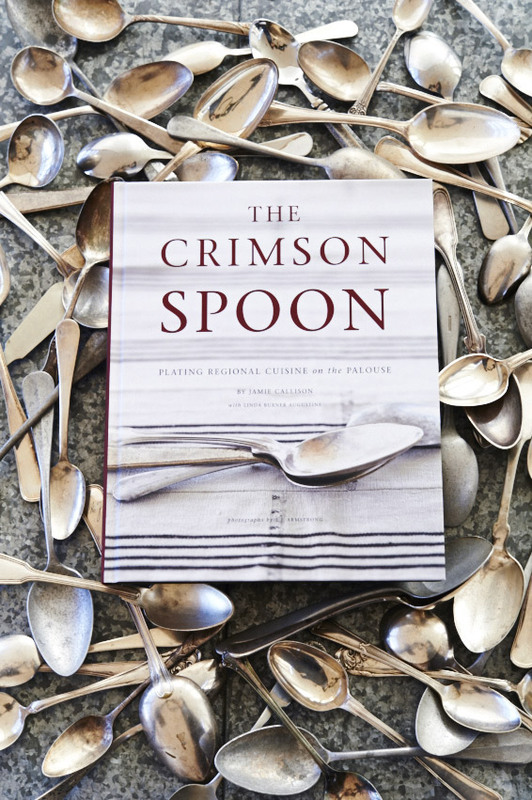 Over one hundred regional recipes, expertly crafted by executive chef Jamie Callison, meet the brilliant photography of leading Seattle food photographer Jane Armstrong, in The Crimson Spoon: Plating Regional Cuisine on the Palouse. This 224-page, photo-illustrated cookbook showcases a unique blend of ingredients produced by the historic Washington State University, in an abundant area of Eastern Washington called the Palouse. There were no shortage of adventures that occurred while shooting for The Crimson Spoon (just ask Jane), but the culmination is a stunning piece of work that’s sure to live, book marked and dog-eared, in your kitchen for a long time. A staple collection for admirers of Washington cuisine, but beautiful enough to display on your coffee table – it’s the perfect gift for the cooks and food lovers on your list this holiday season. About the photographer: EJ Armstrong is the chief art and cookie addict at the Black Building. She has thirty years of experience in the visual world, making her the lead nagger, design junky and advice columnist. You can find her on Instagram @avisualist or see more of her photography here.